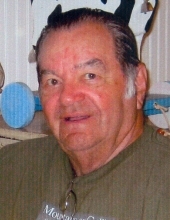 Thomas W. Moore 88, of Mt. Zion, IL passed away at 9:35 p.m., Wednesday, February 6, 2019, in his residence. Tom was born April 17, 1930, on a farm near Niantic, IL the son of William J. and Erma (Bramel) Moore. Tom married his high school sweetheart, Carol Robbins, on November 23, 1952. They both graduated from Niantic High School. Tom served in the US Marine Corps during the Korean War. He worked at G.E. in Decatur for ten years and went on to work for PPG in Mt. Zion and retired after thirty-three years of service to the company. He was a member of the Mt. Zion Presbyterian Church and had served as a deacon and elder. Tom and Carol enjoyed spending every January in Florida and loved when family and friends vacationed with them. Tom was an avid reader and crossword puzzle solver and always beat everyone at Jeopardy. He enjoyed following all sports on TV but, most of all, was a Red Hot Cardinals Fan (his words). Tom is survived by his wife of sixty-six years: Carol of Mt. Zion; sons: Daniel Moore (Terri) of Decatur and Bill Moore of Mt. Zion; daughter: Peggy Moore (Paula) of Idaho Springs, CO; grandsons: Eric Moore (Leslie) of Springfield, IL and Darrin Moore (girlfriend Alyssa) of Decatur; great-granddaughters: Maddie and Abby both of Springfield; nephew: Don Moore (Patty) of California; special friends: Daniel Bennett of Decatur, Bailey Bennett and Rase Bennett both of Findlay, IL. Tom was preceded in death by his parents, brothers: Norman and Gilbert (Gib); sister-in-law: Beverly and his niece: Teri Ann. The family will receive friends for visitation from 11:00 a.m. until 1:00 p.m., Monday, February 11, 2019, at Dawson & Wikoff Funeral Home, Mt. Zion. A service to honor Tom’s life will be held at 1:00 p.m., Monday at the funeral home. Burial with military honors provided by the Macon County Honor Guard and the US Marine Corps Honor Team will be in Illini Cemetery, Warrensburg, IL. Messages of condolence may be sent to the family at www.dawson-wikoff.com. Memorials may be made in Tom’s name to the Mt. Zion Presbyterian Church. The family wishes to thank so many for their help- including Dr. Wade and the staff at Cancer Care Center in Decatur; DMH Hospice Care and the entire Mt. Zion Presbyterian Church family. Tom was a wonderful and brave man who will be deeply missed and forever loved. "Email Address" would like to share the life celebration of Thomas Moore. Click on the "link" to go to share a favorite memory or leave a condolence message for the family.